(The Dutch language at your workplace). 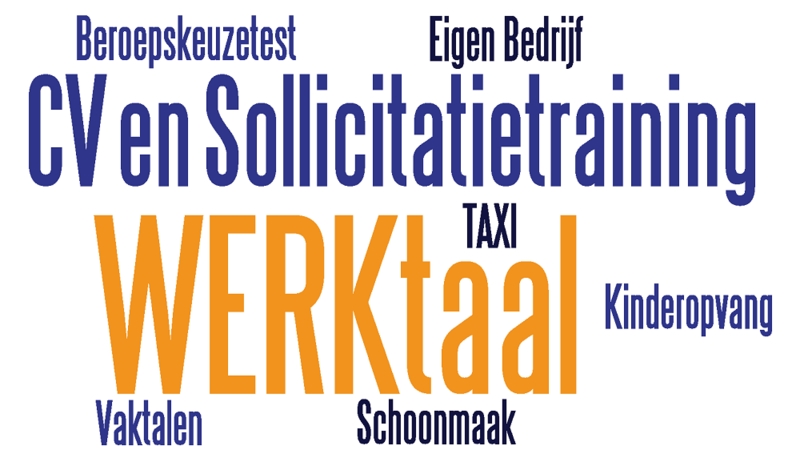 In order to be a successful participant in the Dutch labour market it is imperative to know and properly employ the Dutch language. Language education is most effective at a workplace, in which the student both gets educated and does a job. ABC in Beweging helps you to follow a practical route. First you discover what you want. Then you fulfil the requirements of your chosen career. After that you successfully apply for a job. And finally you start to work or even start your own business.! Are you a student or an applicant, seeking for a job? ABC in Beweging provides a custom-made language course to achieve your goals. ABC in Beweging offers courses for career test and job application, as well as several language courses for AKA, VCA, taxi-, cleaning-, electrician, painting business and starting your own business. At ABC in Beweging we do business with a personal touch to get you better results. Interested? ABC in Beweging offers a customized program to fit your personal needs. Fill out the contactform to share your wishes with us. Click to listen highlighted text! WERKtaal. (The Dutch language at your workplace). In order to be a successful participant in the Dutch labour market it is imperative to know and properly employ the Dutch language. Language education is most effective at a workplace, in which the student both gets educated and does a job. ABC in Beweging helps you to follow a practical route. First you discover what you want. Then you fulfil the requirements of your chosen career. After that you successfully apply for a job. And finally you start to work or even start your own business.! Are you a student or an applicant, seeking for a job? ABC in Beweging provides a custom-made language course to achieve your goals. ABC in Beweging offers courses for career test and job application, as well as several language courses for AKA, VCA, taxi-, cleaning-, electrician, painting business and starting your own business. At ABC in Beweging we do business with a personal touch to get you better results. Interested? ABC in Beweging offers a customized program to fit your personal needs. Fill out the contactform to share your wishes with us.